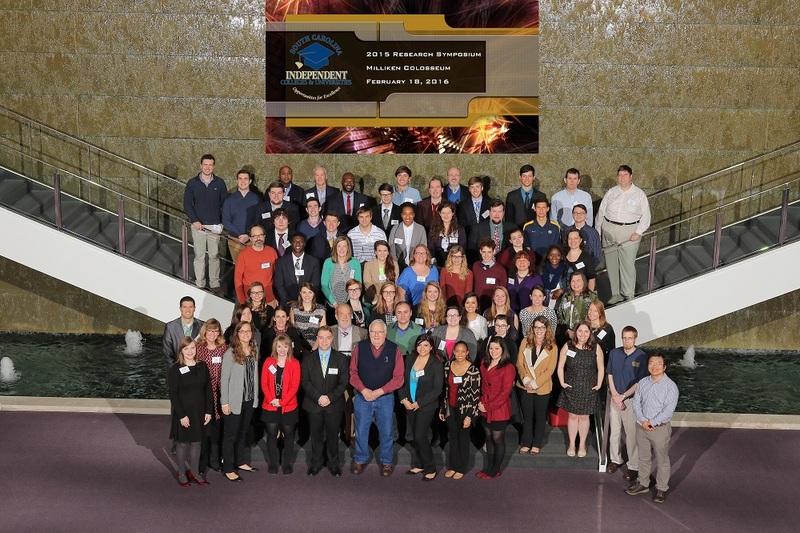 Students and faculty from SCICU member colleges and universities gathered at Milliken & Company headquarters in Spartanburg for the 2016 Research Symposium on February 18. During this annual event, students presented the results from 30 research projects conducted under faculty guidance during 2015. Twenty-one (21) projects were presented through oral presentations, while the poster session featured the results and findings from 9 research projects. A list of the research projects funded and conducted via the 2015 Student/Faculty Research Program may be viewed here. With the 2015 projects now completed and in the books, the view turns toward student proposals and submissions for the 2016 Student/Faculty Research program. The submission deadline for the 2016 program was February 29, 2016. The research evaluation team will convene in March to select projects for 2016 funding. In late March, students and faculty will be notified and awarded funding. After funding is awarded and distributed, research for the 2016 program may begin, and will conclude in early December 2016. Research findings and results from the 2016 projects will be presented in the 2017 Research Symposium, which will be held in February 2017.